So new year is coming and I am thrilled to welcome it. So you must be thinking that what will be my look for this coming new year. Well I didn’t planned so much because I think good things always happens suddenly. So yaa I tried to keep my look a bit different from my usual days just to make my look more interesting. I would say glitters are always been my cup of tea, so I love to experiment with it. 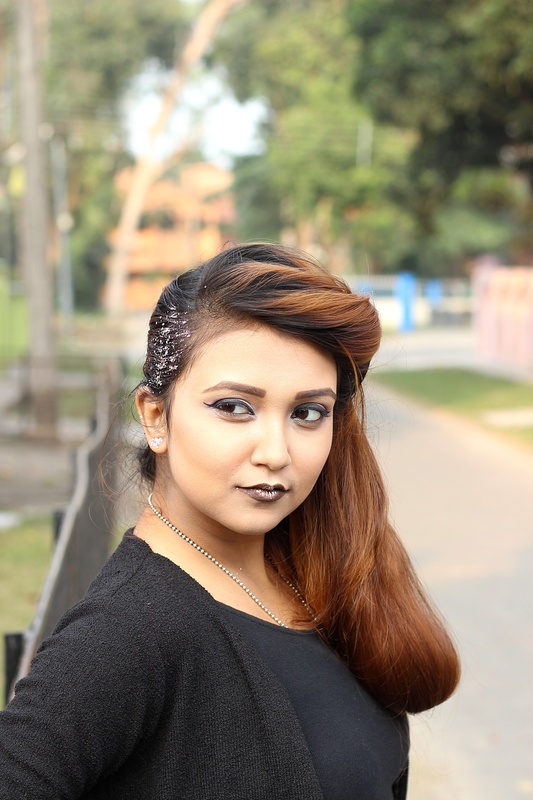 This glitters on my hairs and lips are just slaying my look. For this look I choose to wear a black crop top and paired it up with a striped monochrome skirt which is from myntra. 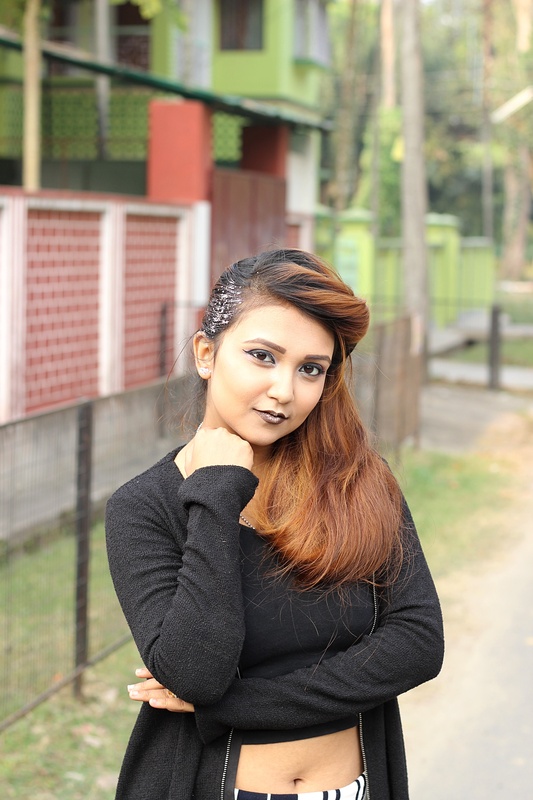 The long black sweater is just so cool its from pantaloons. Stalkbuylove thank you for organising such a contest for bloggers. Here is #mynyelook . See you agin in my next post, till then keep styling .